Many traditional bakes to choose from including cupcakes, cookies and celebration cakes. All completely vegan and dairy free. A field kitchen capable of feeding from 30-400 people but open to feeding MUCH more if the right circumstances come along. My style of cooking is influenced from extensive experimentation from many cultures from around the world and thus is hugely varied. I try to have every meal stand out from each other and love doing huge buffets of 10+ items (regardless of numbers). My main vegetable supplier is a bio-char organic farm close to me and most of my ingredients, if not all, are sourced from as ethical a source as possible. I tried this food at an environmental camp and I must say that he is a real genius in the kitchen! Lots of culinary flair to create interesting dishes. Calm under the pressure of catering for hundreds of hungry campaigners. Exciting and evolving vegan menu to delight your taste buds! Tasty food that's 100% ethical. You'll find an abundance of choice on our exciting menu. We are all about seasonality, using only the finest freshest ingredients, locally sourced and organic where possible, to arrange colourful culinary dishes. Can cater for outside events and small private functions. We promise the most delicious pizzas, freshly prepared and cooked using no animal derived products or ingredients. We trade at pop-up stalls in and around Cardiff, food festivals and markets. We are also available for private bookings and parties. 100% vegan owned & run! 100% vegan run pizza business. Serving up freshly cooked pizza all over the UK at various pop up events. Also cater for private functions, tours & weddings etc. Our aim is to promote animal rights awareness & raise a little money to help along the way! Serving fresh coffee, healthy juices and handmade vegan snacks. We can happily provide a full vegan buffet for outside events. We are also happy to host private functions at our shop. Atma is a vegan and vegetarian street food cafe and a conscious living lifestyle lounge. Atma is the Sanskrit word for body, mind and soul or the self. Atma's mission statement is to satisfy the bodies, minds and souls of the people of Cardiff. We can also do outside event catering. Vegan Comfort Food. Passion for food. Compassion for animals. Cardiff's newest vegan street food business. 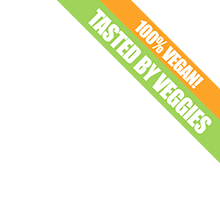 Our aim is simple, providing the best tasting cruelty free comfort food for our fellow vegans to enjoy! Over the past few months we have spent hours creating a repertoire of the best, tried and tested, cheesy and chocolatey recipes that will appeal to vegans, veggies and omnis alike. We aim to bring you the tastiest flavours from Asia, using just fresh herbs and vegetables to create dishes that are not only unqiue but also truly delicious. We provide event catering services including buffet services for weddings or any other special occasions. We're Bristol's vegan homebaking specialists! 280 Bakes is a home bakery company with 5 (at the time of writing - we're growing!) home bakers baking and delivering delicious vegan cakes across Bristol and Portishead. From cupcakes to birthday cakes, home bakes (like Victoria Sponge and Lemon Drizzle) to event catering, we have the right cakes for you. Falafel is a staple diet across the middle east. People often eat it more than once a day as it’s a wholesome, nutritious and filling meal. Fresh pittas are delivered regularly or baked on the spot as customers insist on freshness. We have tried to emulate this in Bristol, providing freshly baked pitta daily from our own Pitta Factory and by creating a tasty falafel recipe that is complemented by a range of salads and sauces. We do in house vegan middle eastern buffets in our Khan Cavern for private parties for all occasions. The space is suitable for up to 50 persons. We can supply the food in bulk for outside catering to be collected. Vegan food, served in a truck, at a pop-up, or at your next big event. Hearty vegan food made and served from The Spotless Leopard van. We are constantly experimenting and as a consequence we don't have a set menu. Every day we will serve up three or four options for main meals, different salads, and a few cakes. Every day is a new adventure! We bring together classical and international flavours and techniques to create beautifully balanced vegetable based dishes. From our Cotham-based kitchen we deliver delicious, healthy, freshly cooked suppers within Central Bristol. From time to time we host or cater for special events and we can provide vegan and gluten free catering for parties. Vegan bespoke cakes, chocolates and sweet things to nourish the soul, baked in the heart of Stokes Croft. Celebration cakes made to order, and seasonal Christmas and Easter cakes and treats. We are a vegan street food business serving innovative and healthy twists on comfort food classics. By using plant based ingredients, we create versions of traditionally meat or dairy filled dishes that will delight vegans and meat-eaters alike. We take inspiration from a variety of different cuisines, and offer a creative twist on favourites such as quesadillas, hot dogs, ranch salad, banh mi, ramen, carbonara, fish tacos and more. All food is served from our contemporary gazebo in a street-food style, with guests coming up to the gazebo to collect/choose their dishes, creating a personal and informal affair. All dishes are served in compostable or recyclable containers, meaning the clear-up couldn’t be easier for you! We cater for many weddings and parties of all celebrations. We are suited to events where guests collect their food gradually over a two-hour window, rather than a lunch or dinner service at a particular time. This is because our street food is cooked to order and we are unable to have all the food ready at the same time. With this in mind, clients often book us to provide the evening food, as opposed to the wedding breakfast, for their vegan wedding. Nutritious and Delicious, Ethical, Vegan Organic Food and Drink. Can cater for festivals, weddings and other private functions. We are passionate about creating, and sharing delicious gourmet organic plant-based raw living foods to boost your energy, enhance your health and supercharge your YES to life! Made with Love. Locally and ethically sourced. Prepared using traditional techniques- we soak and ferment nuts and grains wherever possible making them easier to digest. We source organic produce where possible. Most of our food is high carb and/ or raw to give you amazing health and energy. Good for you. Good for the animals. Good for the planet. We run a pop-up cafe at Phoenix Cafe in Bristol on Fridays as well as occasional other pop-up events. Please contact us about market catering. Earthcake is an independent 100% vegan cake shop, based in Bristol, Bedminster. We take orders for birthdays, weddings, mini cakes for parties, bespoke cakes and more...! 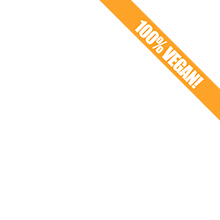 All of our products are 100% vegan and on request we can also do gluten free, nut free, sugar free or any free-from cakes. 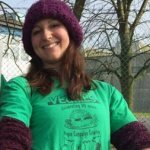 Experienced vegan cook offering fun and informative workshops in vegan cuisine and catering for dinner parties and events. Specialising in vegan cheese. Happy to travel anywhere for catering, workshops and events – subject to arranging travel expenses. Have your cake and eat it! We started Kind Cakes Mean Bakes out of our love for food & animals. Sometimes we do some really cool collaborations with like minded food folks. We only sell vegan food made in totally animal-free kitchens. We are happy to cater & / or make cakes for small vegan events, special occasions, etc – do let us know if we can assist. All our food is home-made & hand-made with love. so if you see something you fancy - give us a shout! 100% vegetarian and with plenty of vegan and gluten free options our menus are contemporary, hearty, inspiring and inclusive. Whether it's a sit down 3-course meal, an informal buffet, or evening canapés, we can cater for your vegetarian or vegan event – with 5 years of vegetarian and vegan event catering under our belts we have plenty of ideas to suit every occasion and atmosphere. We are happy to help you design menu options, and can even assist with other elements of planning your big day. We understand the importance of individuality when designing menus for a specific event and we are able to cater to the needs, wishes and dietary requirements of each individual situation. Community-focused vegan catering for functions, conferences, camps & private events in North Somerset and beyond. We offer a varied, nutritious, tasty and flavoursome homecooked menus, as well as occasional pop up fundraising events as Pitchfork Cafe. We love our food vegan, seasonal, local, and organic where possible. I have been knocked out by the amazing meals produced by Isy, Mike & their campaigning colleagues for over 25 years. It is great to see all that experience being shared at a wide range of events, both public & private, from family celebrations to campaign gatherings. We're on a mission here. A mission to save the planet one pizza at a time. We are small but we are bold and brave. This is not a business, it's a crusade to change peoples perceptions, culture and beliefs about food. Oh and we make the finest mobile, artisan, wood-fired vegetarian and vegan pizza you'll taste anywhere. Bristol based but can travel country-wide. The Parsnipship produces and sells unique and original vegetarian and vegan food at farmers markets, food fairs, events and wholesale too! The Parsnipship offers a unique and inspiring vegetarian and vegan wedding and event catering service, where we work with you to tailor a menu to suit your taste buds, guests and budget. No event or menu is ever the same! We also have a popular Cookery School, with monthly cookery courses teaching you how to cook imaginative, seasonal food, out of the box! Yummy sweet treats, vegan and allergy friendly. Scoff makes a range of scrummy cakes that would be ideal for any celebration. All our cakes are free from eggs, dairy, wheat, gluten and soya. They are ideal for example, for a children's birthday party. If you have a particular flavour or design in mind, get in touch as we can develop something bespoke that will suit your individual needs. 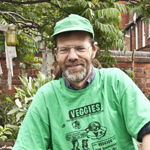 Created by Veggies Catering Campaign, a non-profit vegan co-operative, supporting campaigns for animals, people, planet and peace since 1984.